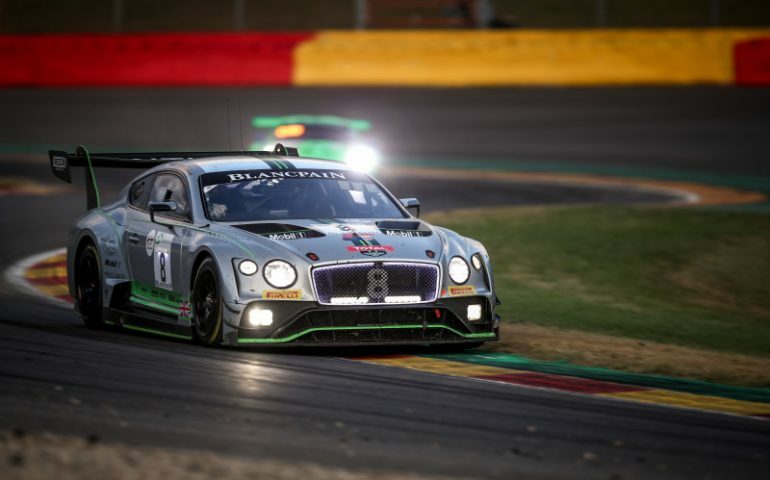 BENTLEY Motorsport has given the strongest hint yet that they will return to Mount Panorama for the 2019 Liqui-Moly Bathurst 12 Hour. In a wide-ranging interview with www.sportscar365.com editor John Dagys, Bentley Motorsport director Brian Gush confirmed plans to ramp-up production of their latest Continental GT3 as they contest both the Blancpain GT Endurance Series and Intercontinental GT Challenge (ICGT) this year. Those plans also lead towards two cars being shipped to Australia at the conclusion of the European season in order to contest the opening round of the 2019 ICGT – the Liqui-Moly Bathurst 12 Hour. Gush confirmed to Sportscar365 that their first three cars built will head to Japan for the Suzkua 10-hour – the next round of the ICGT – where they will be prepared by M-Sport and Asian-based Bentley customer team Absolute Racing. The two cars that tackled the Spa 24 Hour on the weekend will be sent to the United States for the California 8 Hours, where they will remain in the hands of local outfit K-PAX following the Laguna Seca event. Gush also added two new cars would be built for the remaining Endurance Cup events this year prior to being shipped to Australia for the 2019 12-Hour, to be held on the first weekend of February. The 2018 Continental GT3 was introduced earlier this year, with the 2018 Bathurst 12-Hour something of a swansong for the existing first-generation model that twice finished on the Mount Panorama podium. The new car has already shown its credentials, with second place in the Blancpain GT Endurance Series event at Paul Ricard in June this year. Though failing to score a result at Spa Francorchamps, the No. 8 Bentley Team M-Sport entry driven by Vincent Abril, Andy Soucek and Maxime Soulet qualified 11th in the Superpole qualifying session, having placed sixth following regular qualifying earlier in the weekend. The sister No. 7 car of Jordan Pepper, Steven Kane and Jules Gounon eventually finished 25th outright. Read the full story at Sportscar365 here.